Reliable pet sitting couple, experienced with animals big and small. 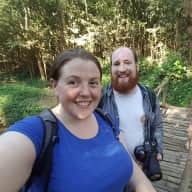 We are a couple currently traveling the world to see new countries and cultures and experience a different view of life. 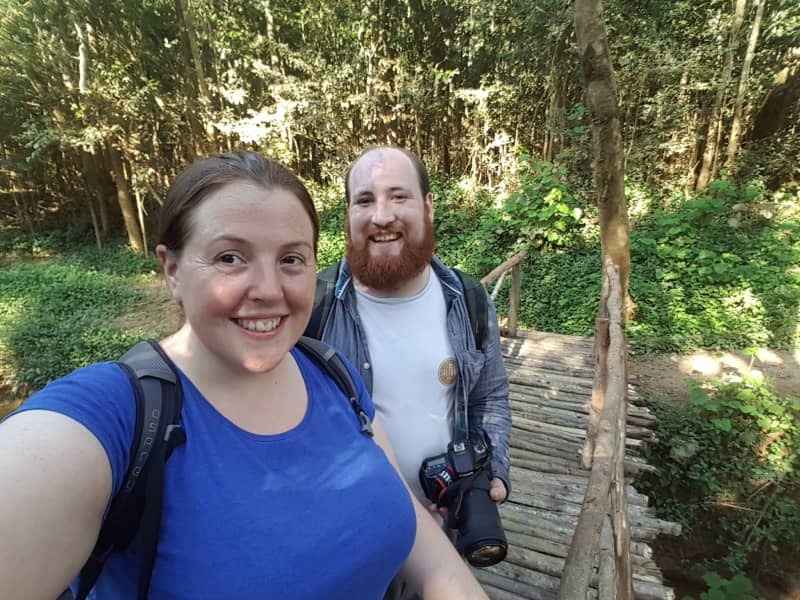 We are spending much of our travels doing workaway projects, where we exchange our skills and labour for food and lodgings alongside the experience we gain working with them. We love the opportunities this lifestyle gives us but we are also looking for chances to pet sit as this gives us chance to spend some quality time with your pets lavishing care on them as we would our own. Our pets are currently staying with some amazing friends while we travel so yours would be a surrogate for us. Typically our spare time at home is spend hiking on dartmoor (we are fortunate to have a national park 15 min drive from our house) or walks on the beach, spending time with friends and family or visiting the cinema or local community events. July - working on a farm in Germany with camels, llama, alpaca, sheep, donkeys and ducks that offer therapy to people with physical and mental difficulties and those recovering from problems. House sitting offers us the perfect world, the chance to care for animals while seeing and experiencing different countries and cultures. As home and animal owners we understand how important both are to you. Your home is your castle and should be treated as such and your pets are family who deserve only the highest care and attention. 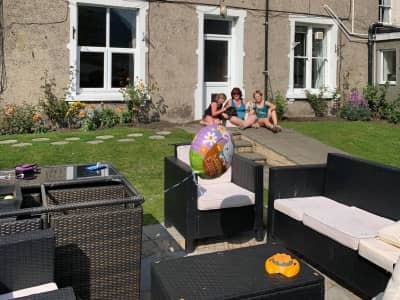 We have house and pet sat for many friends and colleagues over the years, from looking after cats and a tarantula in a town house to dogs, a horse and a 50 strong herd of cows on a beautiful farm and many others inbetween. We have both grown up in households full of animals including dogs, cats, rabbits, guinea pigs, hamsters, gerbils and fish so animal care is second nature to us and just part of daily life. We are both happy to take on anything thats needed including administering medications and injections, and specialist diets. Toby’s passion for animals began in early childhood. He was bought a ‘Keeper for the day’ experience at Shaldon Wildlife Trust (SWT), and when he finished his GCSE’s, started volunteering there as a zookeeper. He has continued to volunteer there over the past seven years. Through his links with SWT he completed the industry-recognised Diploma in the Management of Zoo and Aquarium Animals (DMZAA). Toby has cared for a variety of animals from dogs and cats to donkeys and pigs to the more unusual monkeys, exotic frogs and reptiles. 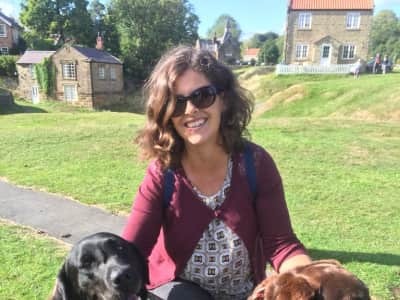 Emma has been working with animals for 15 years, in a number of jobs from horse groom, dog walker, zoo keeper, pet shop assistant and donkey groom. During her time working she also completed a degree in animal behaviour and training as this has always interested her as she believes a better understanding of animal behaviour will help both human and animal understand each other better. Emma is not afraid to get her hands dirty mucking out a barn, poo picking, grooming, prepping feeds, doing general maintenance and diy. I have no hesitation whatsoever in recommending Emma to be your house/pet sitter! She is highly professional, conscientious and attentive. Her natural loving nature for all animals was obvious from the very start and my donkeys, pigs and dogs were relaxed in her company and thoroughly enjoyed her calm and caring attention. Emma, with a strong background of working with a wide variety of species, was highly reliable and went above and beyond what was expected of her. I would most certainly seek her out in the future with no need to look elsewhere. Highly recommend her excellent skills and service.